​DO YOU NEED INCREASED ENGAGEMENT IN YOUR BRAND? WE'RE HERE TO HELP YOU GET THERE. ​Brand engagement ebbs and flows and it can be a daunting task to break out of a lull...but where do you start? At AQUA, we pride ourselves on having the solutions you need, at the price you want, to meet your goals. Maximize exposure with our deluxe Brand Engagement package. This package will get you in front of your top customers and prospects through our print, digital and social media channels, allowing you to be found wherever your customers/prospects are. Our audience of 15,000 audited print subscribers, 600,000+ website visitors and more than 11,000 social media connections are the forward-thinking decision makers in the spa and pool industry that you want your company in front of. 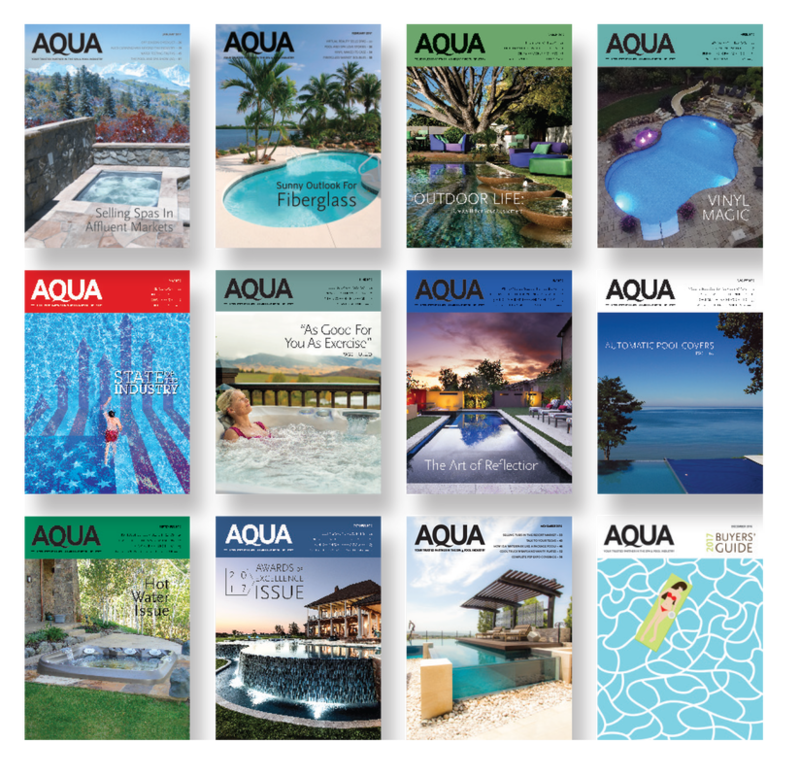 This all-encompassing Brand Engagement package allows for logo recognition on AQUAmagazine.com, in print and digital issues (including the annual AQUA Buyers' Guide), and in our twice-weekly E-News. AQUA boasts an audience of forward-thinking decision makers in the spa and pool industry looking to buy the best products the industry has to offer – from companies like yours. When you're ready to drive your engagement to new heights, you can count on AQUA to maximize your exposure by getting your brand in front of forward-thinking decision makers in the spa and pool industry. ​With our audience of 15,000 audited print subscribers, 600,000+ website visitors and 11,300+ social media connections, we have the audience you want and the engagement you need for a successful marketing plan.